An unidentified (classic?) army soft top 'jeep'. Picture taken in Holland 2008. Anyone able to identify the make / model? 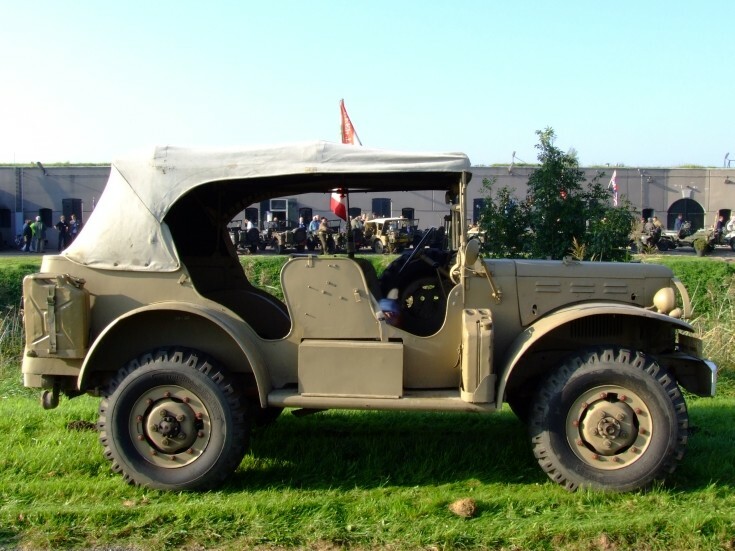 This is a Dodge T214 (or WC56) Command Car from the Second World War era. Added by Louis van Telgen on 16 June 2009.